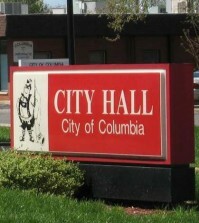 The city of Columbia is recommending residents review the electric rates offered through the city’s electric aggregation program. Homefield Energy, which offers the electric aggregation program to a consortium of more than 110 Metro-East municipalities including Columbia, will offer a rate decrease for their non-summer rate, which runs from October 2018 through May 2019. But even with the decrease, that rate will still be higher than Ameren’s announced rate for the same time period. Homefield’s rate will be $0.05596 per kWh. Ameren’s rate will be $0.0515. Anyone may choose to opt out of the program simply by calling Homefield. Once opted out, residents cannot re-enroll for 12 months. City officials are advising residents to be aware that electricity suppliers contacting them directly are not part of the city’s electric aggregation program. Participation with Homefield does not require residents to sign a contract and they will not be contacted by a salesperson. Columbia’s contract with Homefield expires in December 2020. While the rate is currently higher than Ameren’s, city officials note that Ameren can increase their rates by filing with the Interstate Commerce Commission and demonstrating their costs have changed. Residents who choose to opt out of the electric aggregation program and return to Ameren or select a third-party supplier, can contact Homefield Energy at 866-694-1262 or visiting Dynegy.com/homefield/contact-us.